Your Saturday night dinner could be waiting for you instead of you waiting on it. 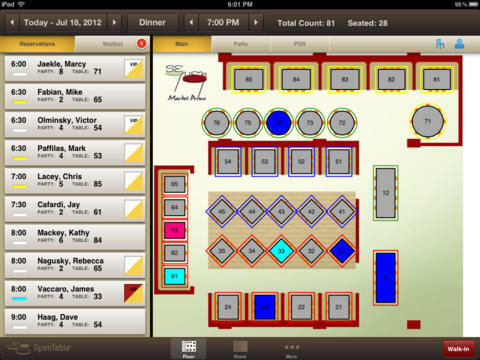 The idea behind these apps is simple: you enter a restaurant and submit your name and number to the host, you receive text message updates on the status of your waiting time (some apps also allow you to view the number of parties ahead of you on your smartphones) and you are notified when your table is ready. The apps not only provide wait time notifications and management, but also allow restaurants to engage with customers via e-mail or text message and utilize customer data to track performance and customer retention. 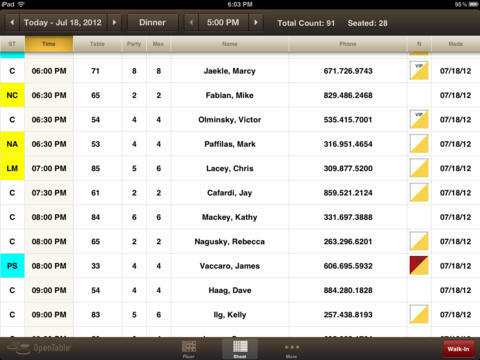 For example, BuzzTable automatically creates a guest profile for each customer upon submitting his or her name and number, helping the restaurant track the individual’s dining history, birthday and customer preferences. The marketing features allow restaurants to share promotions, coupons and create custom retention rewards. Some other features include allowing customers to invite friends to the guest list or create a party and share their restaurant check-in on Facebook. One study found that letting customers use their cell phones to be notified instead of coaster pagers resulted in 9.1 percent fewer turn-aways. Coaster pagers are also expensive and start at $50-$100 per pager (LRS sells a 15-pager kit for $928). Additionally, the cost for replacement or repairment of a pager can range from $70-$100 per pager. It is not uncommon for pagers to be lost or stolen as reported by many restaurants. Therefore, not only are fixed startup costs reduced for a waitlist management system, but also the maintenance costs required to replace or repair pagers. *QLess offers to even purchase the old pager system from the restaurant and apply its current value to its QLess bills. **The apps make money by charging restaurants a platform fee to manage their guests with costs ranging from ~$49-$200 per month depending on the selected plan. For example, NoWait offers three plans for restaurants based on the number of parties a month: free for 200 parties, $114 a month for 1,200 parties and $199 a month for 2,500 parties. 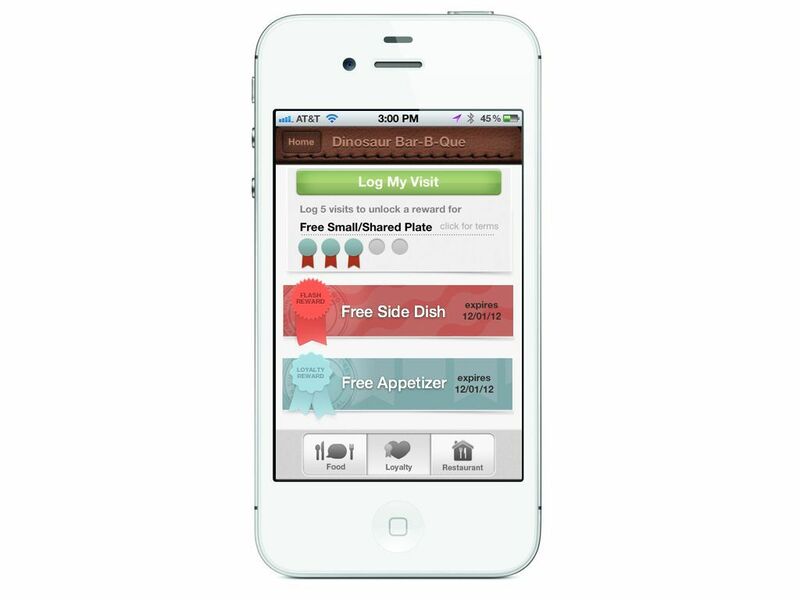 With over 37 billion hours of time lost domestically every year waiting in line, these mobile waitlist management applications are providing a cost-efficient solution to help increase customer retention, create a 2-way communication channel between the restaurant and its customer and improve the wait time experience. Although restaurants have been the main target for these apps, it will only be a matter of time for these waitlisting management apps to appear at hospitals, pharmacies, the DMV, car washes, amusement parks and other places where long wait times are common. It has been argued that the market for NoWait is considerably larger than that of OpenTable’s (OpenTable offers an electronic reservation book for users to make restaurant reservations online). A recent article stated that there are 270,000 casual dining restaurants that NoWait targets compared to the 35,000 fine dining restaurants OpenTable serves. However, OpenTable has been quick to launch its own Table Management App that enables restaurants to manage their reservations and tables in sync with their OpenTable Electronic Reservation Book. OpenTable’s market dominance and ability to offer both online reservations and waitlist management for restaurants without reservations poses a significant threat to any recent waitlist management apps. Additionally, OpenTable’s recent partnership with Facebook adds to the social experience of the app, allowing users to share their restaurant visit or reserve on Facebook. OpenTable already offers many of the features that waitlist management apps provide, stripping away uniqueness and competitive advantage. Wait List Management: BuzzTable provided Penelope with their WaitList+ platform, consisting of 3 parts: 1) an iPad-based Wait List Management application that allows hosts to greet and notify their guests with SMS-messaging and collect/store guest information; guests are then prompted to download 2) BuzzTable’s Consumer Mobile App (free for iPhone & Android) which gives customers the ability to check their wait list progress, browse top trending dishes with photos, unlock rewards, and provide private feedback; and 3) E-mail reports (sent daily and/or weekly) which send all collected data directly to the restaurant. Custom Account Settings: Penelope’s account was created in roughly 15 minutes, which included custom text messages to match their brand, custom status colors on the WaitList interface, plus unique loyalty rewards, high-res photos of their top dishes, and custom feedback fields within the BuzzTable Consumer Mobile App. 5-minute Training: Penelope’s hosts were fully trained on the system in less than 5 minutes. This gave them confidence to use the system in a live environment immediately following training. Share with me your thoughts on waitlisting management apps @tiffanydstone or comment below!